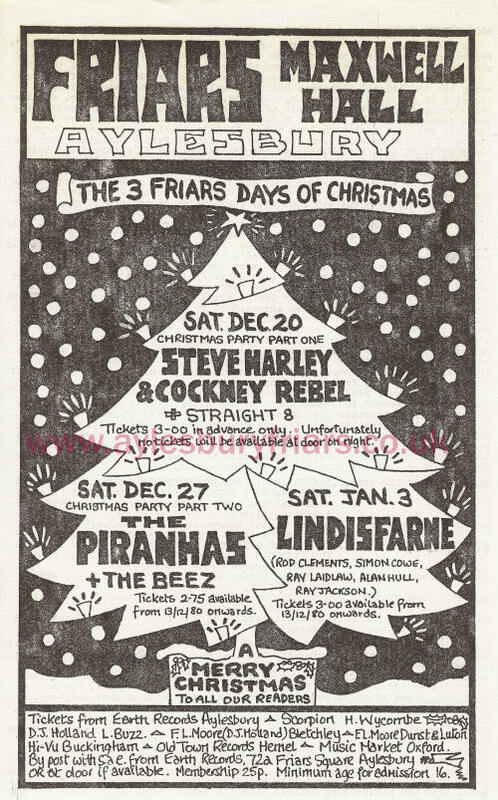 "In the 70s, Friars was the gig of gigs. 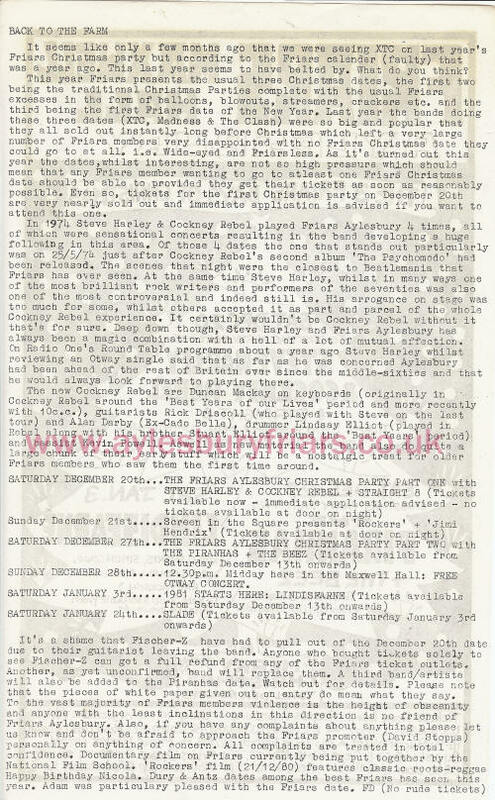 We could play 40-date tours of the UK, to all towns and cities, and still carry that air of anticipation throughout the bus, waiting especially for Aylesbury.Dave Stopps was a sensational 'spotter and Promoter; finger on the pulse, hip to his fingertips to all that was happening out of everywhere that boasted new bands. 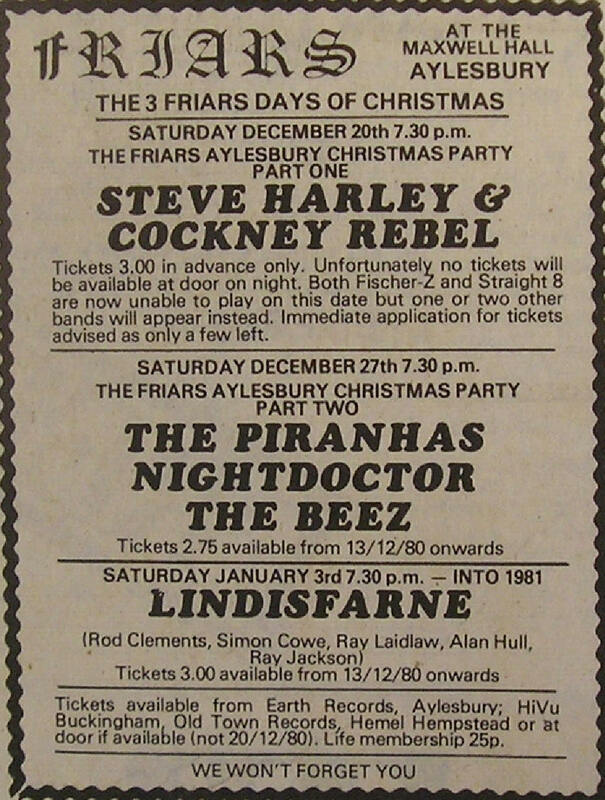 In 1974, Cockney Rebel played Friars four times - in January, in May, in June and again in August. All sold out and all buzzing. Unforgettable. Good luck with your site. The old place was unique and deserves such an accolade." "Have heard they're tearing down Aylesbury Civic Hall, the legendary Friars' replacement. What a shame. What a drag. can it be true? No rock venue of that type and size in amiable Aylesbury for the first time in ages? The immortal Dave Stopps was the 70's promoter who brought many good names to Bucks. He tapped a source there. 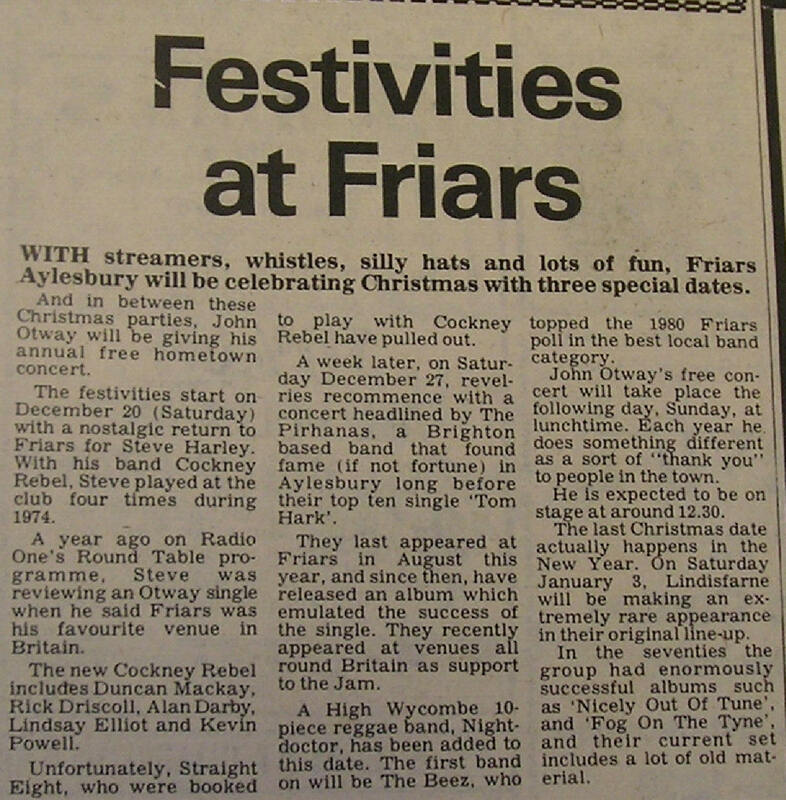 The London-based music mag critics would get out to Aylesbury, because it was only a short hop from The Smoke. Out of Friars, thanks mostly to the eagle-eye and sound judgment of Dave Stopps, broke the careers of David Bowie, Genesis, Mott The Hoople, Roxy Music, many many more and even yours truly. 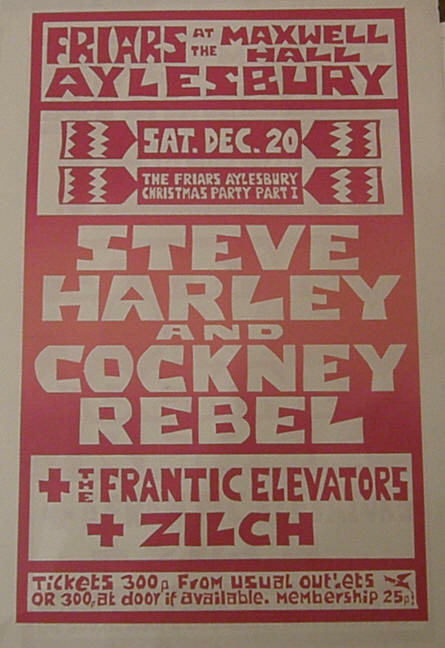 The first front cover the first Cockney Rebel received from either the NME or Melody Maker was after a show, early on, at Friars, Aylesbury. There is an important rock audience in that general vicinity, and so a new hall must be found/built pretty damn soon. But why? The place can't be more than 20 years old. What on earth could have happened to it, that it needs demolishing? The mind boggles and the hackles rise"
The Frantic Elevators song below Holding Back The Years became a Simply Red classic.....Mick Hucknall was in this band!